Geocacher of the Month by HQ ! World Wide Geocacher of the month ~ September 2013 ~ TENTH winner from the USA, AND the FIRST winner from the Northeast and New Jersey. At some point during your geocaching adventures, you have found a cache, attended an event, or enjoyed some other kind of geo-fun devised by Old Navy (John Neale). Currently President of NNJC. 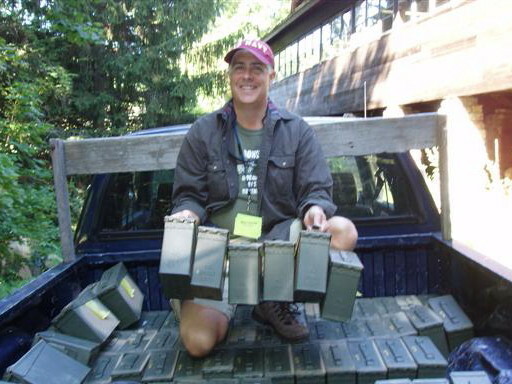 Geocaching HQ has chosen John as one of only three nominees from around the world vying for the coveted title of “Geocacher of the Month.” It was announced today, 10/23/13 that Old Navy became the worldwide September Geocacher of the month. Our NNJC president was recognized for all that he has done over the years to make the sport of geocaching fun and enjoyable for so many people! Old Navy will receive the earned, never for sale, collector’s edition Geocacher of the Month Geocoin, along with a Geocacher of the Month hat and a certificate acknowledging his contribution, signed by two of the founders of Geocaching.com. See Geocaching Blog at this LINK. to everyone who voted for Old Navy !